Despite all the toys on the market with flashing lights and electronic noise activators, we hold a special place in our heart for the old-school pull toys – like those found on Joan Orr’s Etsy shop – that entertain little ones as they begin walking or crawling. Hand-painted with non-toxic paints (some of which are also soy-based) and non-toxic varnish, the pull toys come in elephant and whale shapes and gently encourage tots to keep moving as they clackety-clack along. Whether you choose one of their fun, vivid colors such as bright orange or lime or you go basic and pick the unpainted style, which allows for the gorgeous grain of the wood to come through, these pull toys are classics and destined to become part of the family for generations to come. Despite all the toys on the market with flashing lights and electronic noise activators, we hold a special place in our heart for the old-school pull toys - like those found on Joan Orr�s Etsy shop - that entertain little ones as they begin walking or crawling. 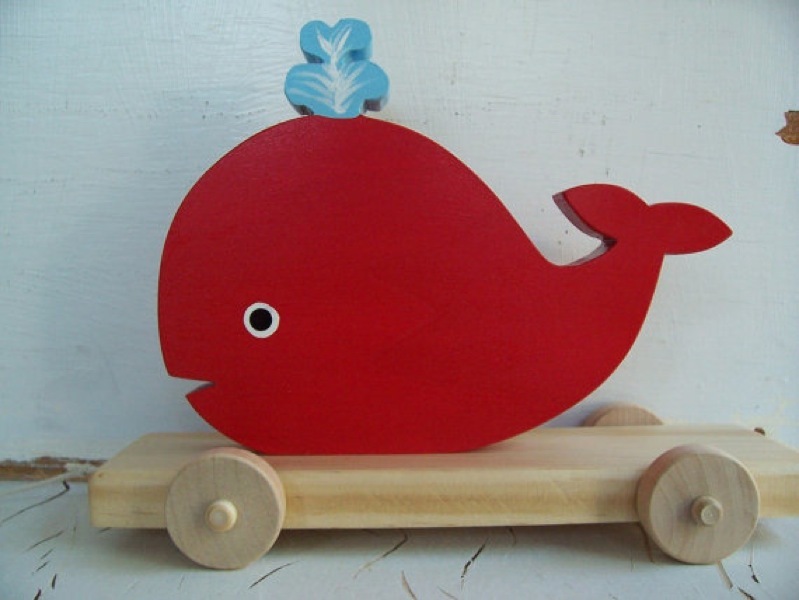 Hand-painted with non-toxic paints (some of which are also soy-based) and non-toxic varnish, the pull toys�come in elephant and whale shapes and gently encourage tots to keep moving as they clackety-clack along. Whether you choose one of their fun, vivid colors such as bright orange or lime or you go basic and pick the unpainted style, which allows for the gorgeous grain of the wood to come through, these pull toys are classics and destined to become part of the family for generations to come.